I am pretty sure to already know the answer, but I am looking for confirmation. This afternoon while my Pi 3B+ was up, I accidentally shorted Pin 1 (3.3V supply) to GND, which immediately shut down the Pi. Now it won't boot up again, with no surprise. I looked up on the internet to see if I definitely fried up my Pi, and struggled to find a post where someone did exactly this. I found a lot of posts about shorting 5V to GND, shorting 3.3V to 5V, etc, etc, but no post about 3.3V to GND. Well, I did find this post : viewtopic.php?t=68479 but the author added 7.2V into it, so I don't know if it applies to my case. Following this schematic : https://www.raspberrypi.org/documentati ... educed.pdf I tested continuity between PP2 and PP7, it beeps, so it doesn't look like the polyfuse is blown ; however I am not 100% sure about this test. Currently the Pi only shows the PWR LED when powered. So, do I have any hope, or is it definitely dead ? Is there anything else I can try ? Wait 24 hours for the polyfuse to heal. It it won't boot tomorrow you'll have to accept you've learned a £35 lesson. If the red power LED is on then the fuse is not blown. I blew up a week old RPi3B+ with a test lead. I believe I shorted 3V3 to the nearby chip with the metal raspberry logo which is grounded. The failure was instant. The 3V3 now measures 0V. Well, there's that. Lesson learned, I guess ! I'll check again in the morning, but as klricks wrote, it doesn't look like the polyfuse is blown. I first thought about plugging a (semi-)permanent resistor between the 3.3V pin of the T-cobbler and the + rail of my breadboard so that it would not fry out again if I accidentally linked GND to the + rail again. But when calculating its value, I realised that it would depend on the rest of the circuitry. So in the end, all I can think about is to design the circuitry first, and only in the end when I am sure that it will not draw too much current, I can connect the 3.3V supply. Also, while looking up the maximum current I can draw from the 3.3V pin, I found this thread : https://raspberrypi.stackexchange.com/q ... -were-told telling that while you shouldn't draw more than 50 mA overall from the GPOs, the total current available for the 3.3V pin depends on your Pi's remaining current from the power supply after having fed the board itself + the external devices. I would like to measure my (future) Pi + devices' current consumption so that I can know which will be my future circuits' limit (minus a safety margin ). How could I do this ? In theory, I would only need to measure the current drawn by the micro USB input, and substract this value to the maximum of 1 amp that the Pi can draw (according to this : https://www.raspberrypi.org/documentati ... /README.md). But how could I actually measure this value ? Also, am I thinking correctly ? There is a chip (U8, a XR77004) on the 3B+ which contains most of the circuitry for some DC-DC converters. See https://www.raspberrypi.org/documentati ... educed.pdf. One of those converters is for the 3.3 volt rail. I would not place any credence on old information that applied to previous RPi models where the other voltages were derived by different circuitry. There is a chip (U8, a XR77004) on the 3B+ which contains most of the circuitry for some DC-DC converters. I was about to say the same. I would have expected that to include short-circuit, over-current and thermal shutdown protections which would contain the failure and avoid the polyfuse 'blowing'. I imagine it's one of those things which got tested during development of the 3B+ while choosing to go with that PMIC so one of the RPT engineers may be able to say what the expected outcome would most likely be. Well, in my case the polyfuse didn’t even blow... I think that it only protects the 5V supply. Do you guys think that a 1A fuse would be enough to protect the Pi’s 3.3V rail against such a short circuit, or should I play safe and use a lower one ? It would be a race between a chip's delicate internals being fried and a piece of wire inside the fuse heating up and melting. Guess who the winner would be. 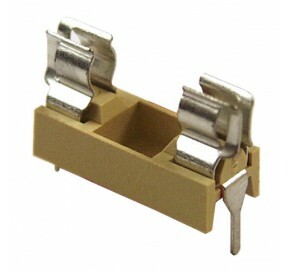 The primary purpose of a fuse including the polyfuse is to prevent fire / smoke. If the electronic circuits are also saved then that is more a matter of luck than design. But the chip’s “delicate internal” must have a melting threshold, right ? If the fuse’s rating is below, couldn’t it work ? The chip doesn't need to melt, just a small amount of damage will be enough. Ok so apparently nothing beats « just be careful and double check everything » there. Thanks for all your answers guys !! Long ago when discrete transistors were "state of the art", they were known as "three legged fuses". Semiconductors will fail long before a fuse or circuit breaker even begins to speculate about the possibility of the necessity to disconnect the overcurrent. Indeed. A fuse is there to stop the wiring catching fire in the event of a short.